In the face of the criticism, that pulling the story was at best unscientific and at worst an act of censorship, the Scientific and Technical Research Council of Turkey, or TÜBİTAK, has blamed the editor for whole affair, arguing that the story was withdrawn because it was changed at the last minute and rushed. 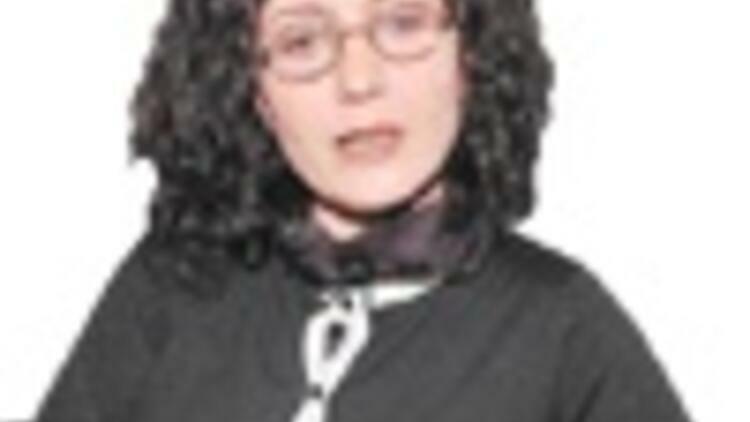 However, editor-in-chief of the council’s magazine Bilim ve Teknik (Science and Technology), Dr. Çiğdem Atakuman, said she was told by the deputy head of the institution, Professor Ömer Cebeci, that using Charles Darwin’s theory of evolution as the cover story for the March edition of the magazine was too controversial and that she could no longer be trusted to responsibly perform her duties. In a press statement she released Saturday, Atakuman said Cebeci had verbally removed her from the post of editor and told her she would be assigned elsewhere, but the decision has yet to be officially communicated. She said she had consulted her lawyer and would not resign from her post. The magazine, published by TÜBİTAK, the main state institution responsible for funding scientific research, was criticized for the last-minute replacement of the evolution story with one about global warming, resulting in the magazine coming out a week late. The cover story on evolution was part of an effort to recognize the 200th anniversary of Darwin’s birth. Newspapers and academics criticized the incident as meddling by the ruling Justice and Development Party, or AKP, which passed a law last summer tightening its control of appointments to TÜBİTAK. Atakuman said the usual publication board meeting had not been held since Cebeci was appointed deputy head of TÜBİTAK last December. She also said despite contrary statements, the board had no right to alter the contents of the magazine and only had a say on the scientific legitimacy of the articles. Cebeci is one of three board members. One member, Esef Kerimoğlu, resigned Saturday in protest against what he called an act of censorship. Since Professor Nüket Yetiş was appointed head of TÜBİTAK in August 2008 by President Abdullah Gül, the former editor-in-chief of the magazine, Raşit Gürdilek, and five editors have resigned. Atakuman’s statement was in response to one released by TÜBİTAK a day earlier, in which the institution accused the magazine’s editor of exceeding her authority, and denied claims of censorship. Atakuman was not fired but would be re-assigned, it said. The statement also said one forthcoming edition of the magazine would be dedicated to Darwin. According to Atakuman, TÜBİTAK’s statement comes in response to the huge public outcry it has received for censoring the story in the first place. The third member, Professor Ahmet Onat, confirmed Atakuman’s version of events, saying that the publication board had no authority to alter the magazine. He said he did not understand how Atakuman could have exceeded her authority when she was in charge of the magazine. One member of TÜBİTAK Science Council, Professor Abdullah Atalar told Milliyet daily that the controversy was due to Atakuman "discovering" a day before the publication that 2009 was Darwin year. "She called people and made them work on the weekend to get the story ready. Sixteen pages were added to the original magazine. Cebeci objected to the changes, arguing that such an important story could not be rushed. So they returned the magazine to its original state," he said. Professor Metin Heper, another science board member, told Milliyet daily the problem arose after Cebeci and Atakuman agreed on the composition of the magazine and then Atakuman changed it. Hüsamettin Kavi, another member, said the problem was one of miscommunication and technical malfunction within the organization. Speaking about the matter to Miliyet daily, Cebeci described the whole controversy as a "work accident." "All workplaces have them. We have had them before but it had never generated so much reaction," he said. The head of TÜBİTAK, Yetiş, who has been largely silent throughout the affair, said over the weekend that the special Darwin edition was planned before the March edition sparked a controversy, dismissing claims that it came about as a result of all the reactions. Turkey Sciences Academy released a strong statement over the weekend, describing the theory of evolution as a scientific fact that could not be ignored. "The fact cannot be subverted or obstructed," it said. The mayor of the central province of Konya yesterday said TÜBİTAK would be building a science center and would also erect a statue of Darwin.